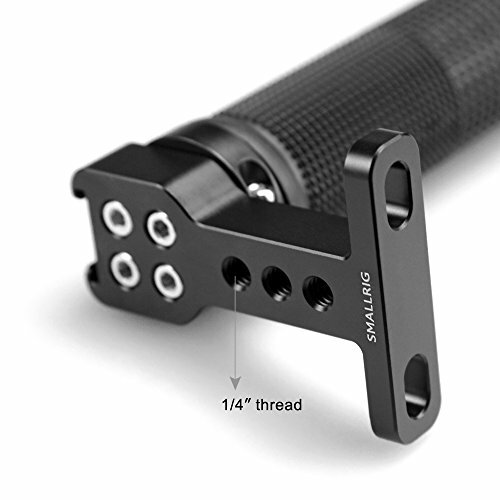 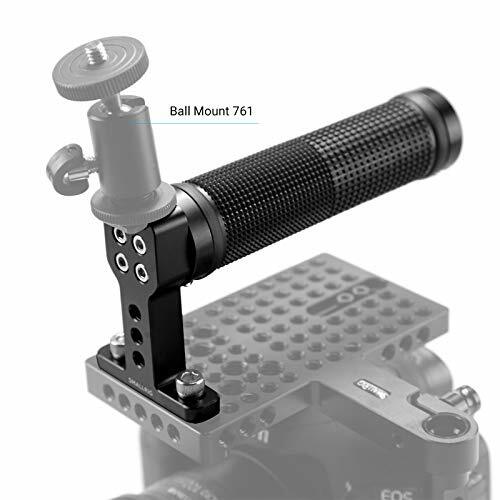 SmallRig Top Handle(Rubber Black Ring) 1447 bolts on directly with 2pcs 1/4″ screws (the adjustable space between two 1/4” screws is 30mm-40mm). 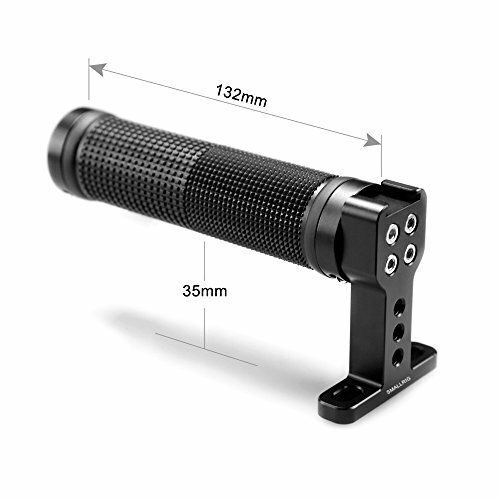 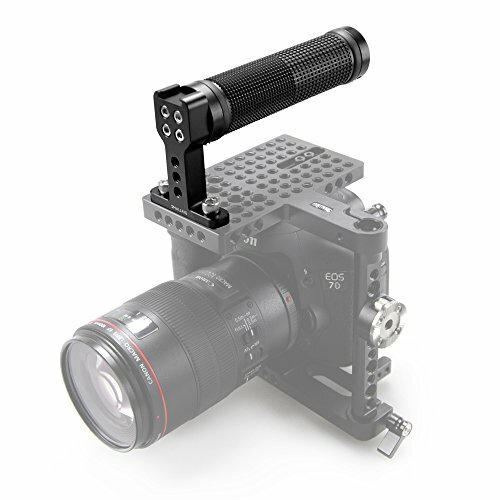 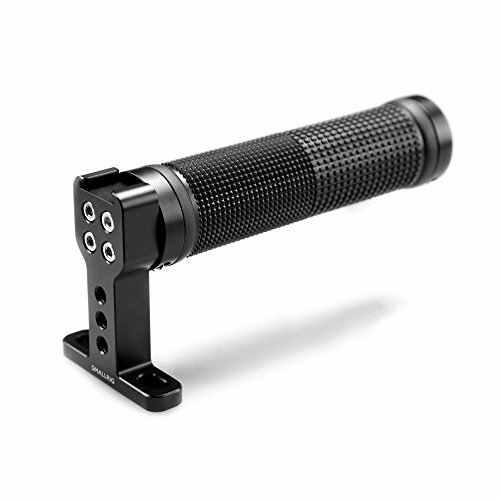 Can be used on camera cage or camera plates with standard 1/4″-20 threaded holes. 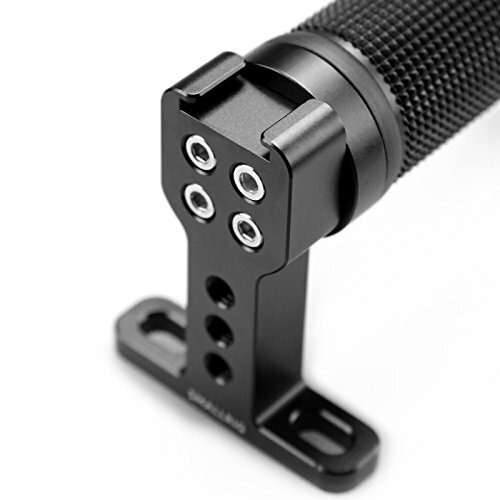 1/4″-20 mounting points in front for accessory mounting. 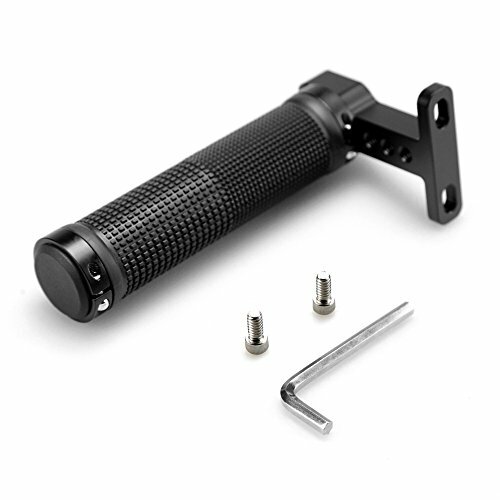 Comes with a cold shoe base on top of the handle for more extension.